Join the Team - Are you looking for a weekend job to help give you a little extra money? 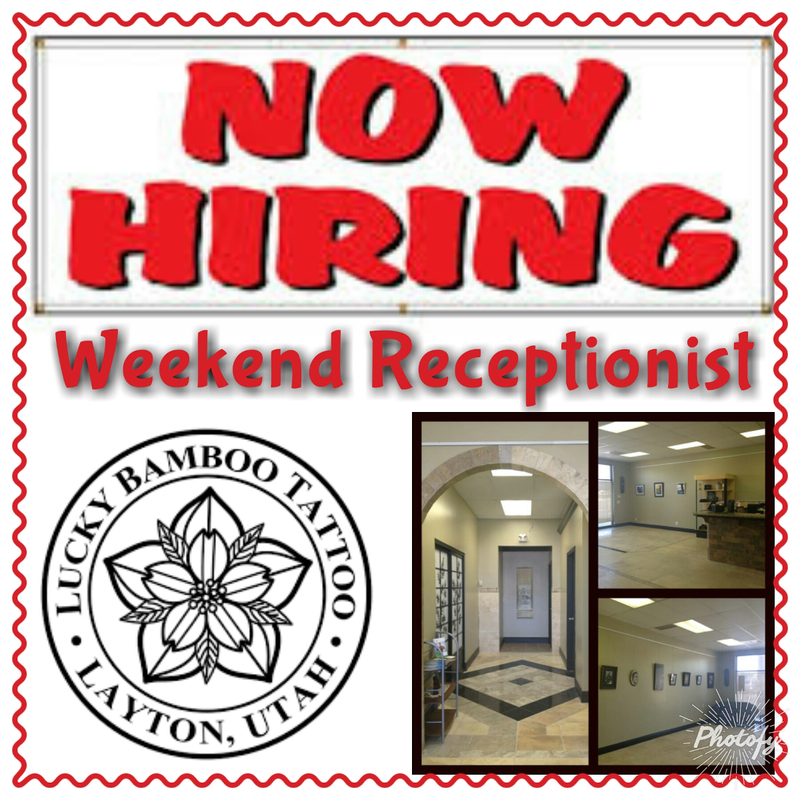 Lucky Bamboo Tattoo is looking for a weekend receptionist to join the team! If you are great with customer service, detail-oriented, friendly, and are experienced in an office setting, apply at https://my.affintus.com/Job/1758#st_refDomain=&st_refQuery=.